Zlimline Lipo Laser utilizes a new technology of laser-lipolysis, which makes use of a low-level laser to smooth out cellulite, reduce fat and model the body. Results are visible right away after treatment. In comparison with surgical liposuction as well as with other ultrasound or laser technologies, laser-lipolysis is considerably cheaper, while providing similar benefits. Zlimline Lipo Laser is a non-invasive, painless and injection-free procedure and requires no recovery time. 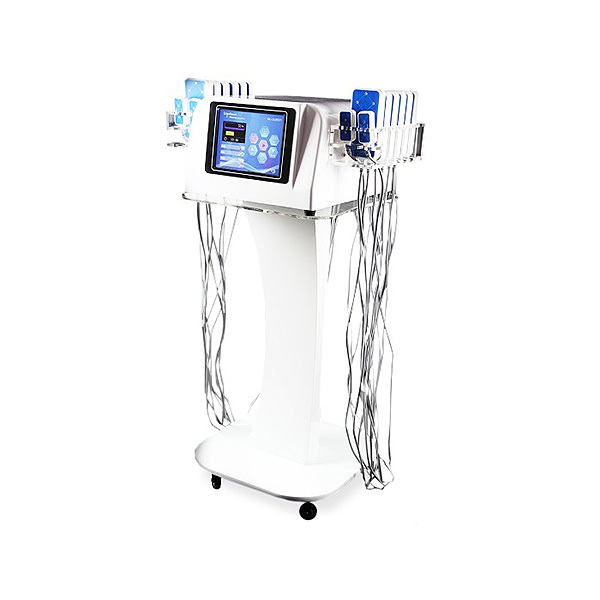 The low-level laser used in Zlimline Lipo Laser procedures has a photo-biomodulation effect, changing cellular chemistry and initiating the release of an enzyme called lipase, in turn, breaks down triglyceride molecules into fatty acids and glycerol molecules. As a result, small enough molecules can be removed through skin pores and used as “fuel” in the body’s metabolic processes. Your body’s lymphatic system carries the content of fat cells out of your body in a natural way. Zlimline Lipo Laser increases lymphatic circulation by stimulating lymph nodes in the treated area. Exercise or intense massage is highly recommended after the procedure to burn newly-released fatty acids and glycerol in order to remove them completely from the body’s fat stores. very day, our bodies store excess calories from food in the adipose tissue. The brain is responsible for deciding when the content of fat cells is released to use it as an energy source. Adipocytes, or fat cells can be compared to rechargeable batteries which are used and charged from time to time, depending on our diet and level of physical activity. Laser-lipolysis uses visible, low-level red laser light which bio-stimulates targeted fat deposits in a safe and painless manner. This stimulating procedure triggers the body’s natural chemical processes that are used to release energy reserves as necessary. So, laser-lipolysis is free of all kinds of unusual side-effects and does not cause any damage to the body, including cells, blood vessels, adjacent nerves or vital organs. The treatment is suitable for all skin types and body areas with unwanted fat deposits. What is more, it is possible to return to your daily routine immediately after a treatment session. Laser pads are placed on the treated area, such as chin, upper arms, abdomen or thighs, to break down and remove fat precisely from the desired area. This is a great advantage over diet and exercise which reduce fat uniformly across the whole body, but do not model specific areas. Results are visible right away. As a rule, each session results in a 2–4 cm reduction in the waist circumference. It is advisable to undergo a treatment course of eight sessions in four weeks, two sessions per week. With the help of this procedure, the client is expected to drop 1–2 sizes. ndependent clinical studies show that the results of laser-lipolysis are comparable with those of traditional liposuction. 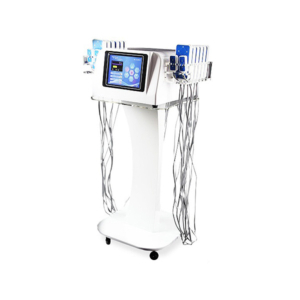 Laser-lipolysis is one of the few widely used technologies that has been approved by the USA Food and Drug Administration as a tool for combating obesity. Ultrasound images indicate that with just one treatment the thickness of the fat layer is reduced by up to 30%. Lisaseansid parandavad tulemust veelgi. Additional sessions ensure further improvement. Results are visible immediately after each treatment, as the content of fat cells is released. Post-treatment in the form of light exercise accelerates the removal of released fat from the body. It is also recommended to have lymphatic drainage (LPG) done after the procedure. Zlimline Lipo Laser encourages fat cells to release their content without any exercise, making it thus possible to target problem areas. The device is very easy to use in comparison with other laser and light treatment devices. All the specialist performing the procedure needs to do is to place laser pads on the targeted area and then the therapist can attend to other clients, doing his best to contribute to the clinic’s economic performance. 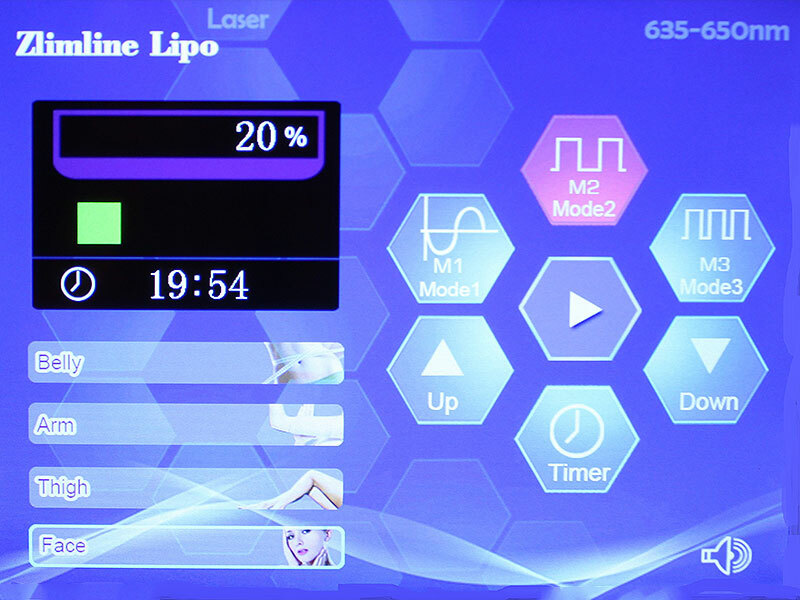 Liposuction with Zlimline Lipo Laser is a quick and painless procedure: one session takes 30 minutes. A treatment course should include eight treatment sessions, done twice a week, in order to complete the body’s modelling procedure in four weeks. To make sure that the body is able to burn the content of fat cells, it is recommended to target only one area per session. If the body has too much matter to burn, there is a risk that it will be stored again as fat. After finishing the treatment course, the patient needs to maintain a healthy lifestyle for best results. It is allowable to take food supplements boosting metabolism and promoting a healthy lifestyle after a Zlimline Lipo Laser treatment session.